You may order DVD copies of current or past Straight Talk shows for your personal use. Orders should be placed directly with our post-production facility, Belmont Productions. When you place your order, be sure to indicate both the approximate air date of the show and the guest or subject matter. Indicate also how many copies of each show you want. Price: $19.95 per DVD copy. Add 9.75% tax (CA residents) plus $2.50 per order shipping. Enclose a check payable to Belmont Productions for the amount due. Be sure to indicate your name and mailing address. Allow 7-10 business days for fulfillment of your order. If you have any questions or special needs, you can contact Belmont Productions directly at (562) 438-7110 or by email at micheal@belmontproductions.com. For your convenience, an Order Form is provided below. 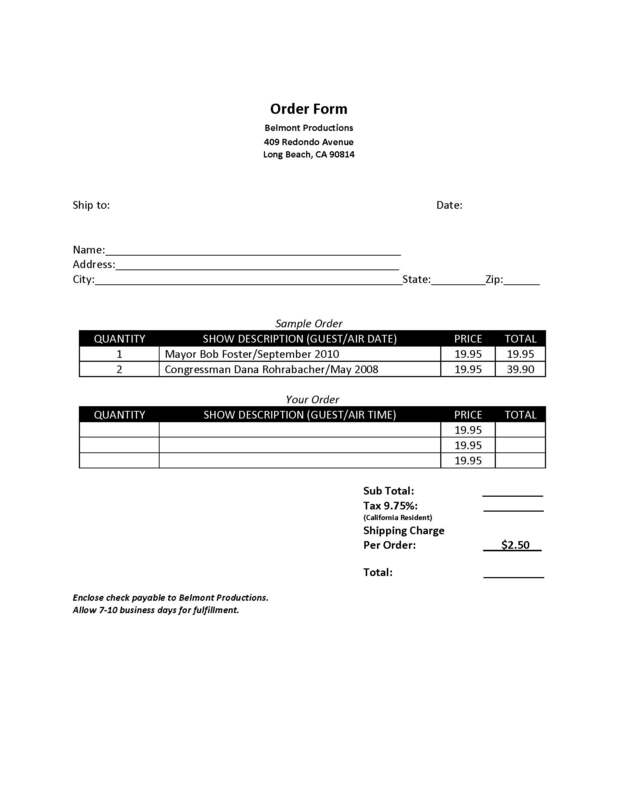 You may print out the form on this page, or download the pdf version. © 2017 Straight Talk Productions, Inc.